The overall goal of the Reactive Plasmonics research programme is to develop a new research field of plasmon-enhanced microscopic electronic phenomena. Going beyond macroscopic plasmonic effects solely associated with enhanced electromagnetic fields, the proposed research programme is to understand, quantify and gain control over fundamental physical and chemical processes mediated by surface plasmons at interfaces in intimate contact with plasmonic nanostructures, and to develop disruptive approaches to their manipulation on nanometric spatial and femtosecond temporal scales. Such electronic processes controlled through plasmonic material parameters and/or nanostructuring are imperative for new advanced applications in nanophotonics, optoelectronics, catalysis, photochemistry and photobiology. To achieve these goals we will (i) develop and study new, technologically important plasmonic materials with controlled photophysical interactions near molecular and semiconductor interfaces, (ii) to provide comprehensive investigations and develop applications of hot-electron effects in semiconductors and molecules induced by plasmonic excitations in metallic nanostructures, (iii) study nanoscale plasmon-induced thermal and non-thermal light effects and develop their applications using engineered ultrafast nanoscale thermodynamic effects. The objectives reflect a balance between enabling emerging technologies for electron control within plasmonic nanostructures and new concepts of their applications with immediate impact on technology. 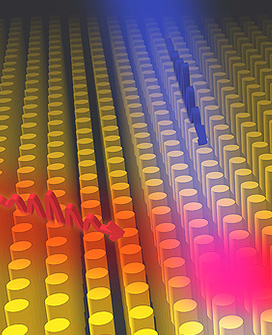 The proposed new approaches to ultrafast optical control of electronic systems and related effects in plasmonic nanostructures will open completely new avenues for the development of broadband photocatalysis, enhanced nanoscReactive Plasmonicsale optoelectronic devices, nanoscale sources of electric and magnetic fields for data storage applications, nanoscale and ultrafast temperature control, and many other technologies of tomorrow.